The details to save in the Grid special file. Check to save all example rows including copies and forecasts. Check to save the forecast example rows. Check to save the copies of example rows. Check to prefix the example row names with the row numbers. 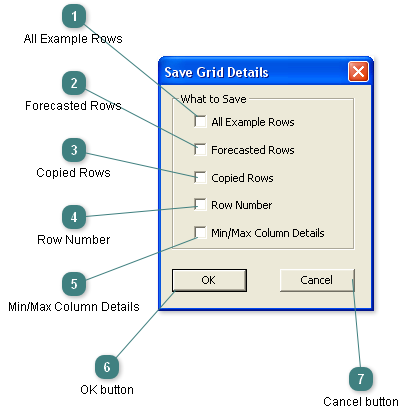 Check to save the minimum and maximum column details at the end of the grid file.